1. 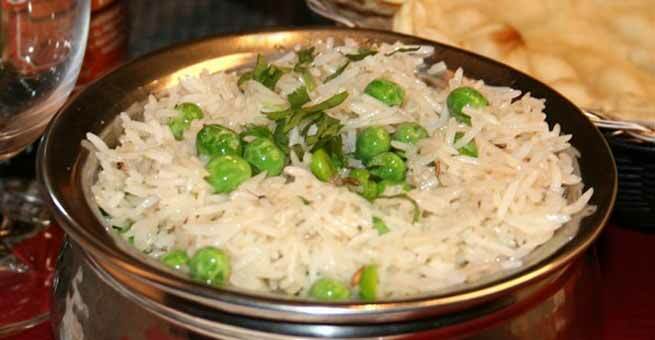 The preparation of peas pulao is really very simple and easy. However, you have to be very careful while cooking the basmati rice. So, let us start with cleaning the rice. Wash it properly unless and until the drained water runs clear. Once you are done with it, add water to the washed rice. Let it soak for at least half an hour. Then, draw the water off gradually and keep the rice aside. 2. Prepare all other ingredients to start your cooking. Clean and wash green peas under running water. You can take either fresh or frozen peas for this purpose. Peel the onions and slice them up finely. Also, cut the green chilies into thin, long pieces. 3. Take a pot with thick and wide bottom for cooking the rice. If you are more comfortable with pressure cooking, opt for a pressure cooker instead. However, place the pot on the oven over medium heat. Pour vegetable oil or ghee into it. Also add the butter to the oil. Let the mixture get heated. 4. Now, add the whole cumin seeds to it. As soon as they start to sputter, put in the whole spices or garam masala ingredients like bay leaves, cinnamon stick, black cardamom, green cardamom, cloves and mace one by one. Fry for a couple of minutes till a wonderful aroma starts to come. 5. Add the thin onion slices to the roasted whole spices. Stir fry for 1 minute. After that, add ginger paste, garlic paste, and the pieces of green chilies to the pot. Cook all the ingredients until the onions become soft and golden brown. 6. Pour all the green peas into the spice mixture. Sauté for 3 to 4 minutes so that they are cooked a little. Beat the fresh curd and add it to the peas. Also, add rest of the water and stir with the help of a spoon so that all ingredients are mixed together. 7. Now, put the drained basmati rice in the pot. Sprinkle salt over it according to taste. Cover the pot with a lid and adjust the flame to high. Make sure that the lid sets tightly over the pot. Or else, the rice will not get cooked properly and your peas pulao will not taste good. 8. After some time, open the lid and check if the water is absorbed by the rice completely. The grains should neither remain hard nor get melted. 9. 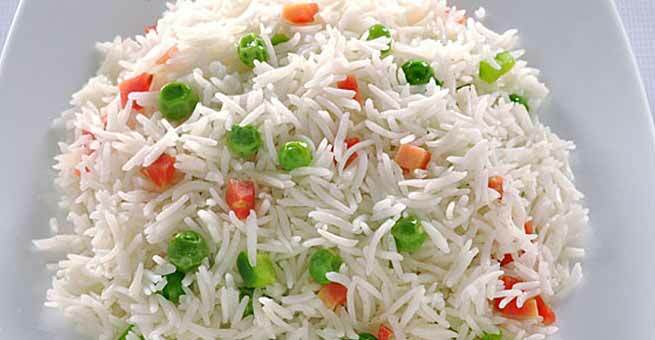 Finally, serve your hot peas pulao with raita or spicy veg side dishes.